Removes stubborn carbon, dirt, stains, oil & moderate oxidation on painted substrates. Provides UV protection & restores gloss to oxidized paint. 1. 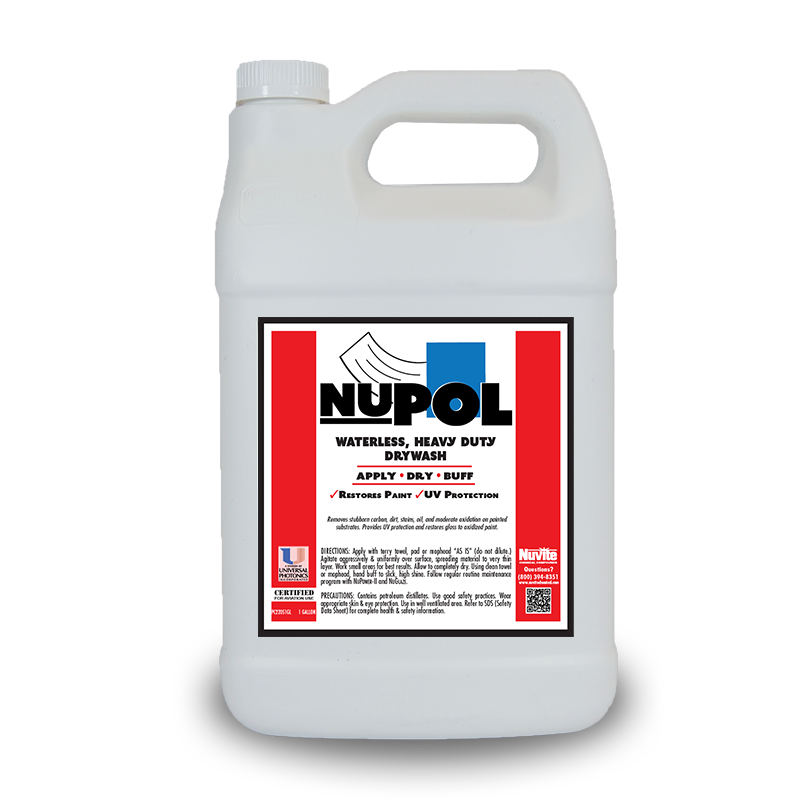 Apply NUPOL “as is” with a terry cloth towel, pad or mop head. 3. Agitate aggressively & uniformly over surface, spreading material to very thin layer. Work small areas for best results. 5. Using a clean towel or mophead, buff for slick high shine. 6. 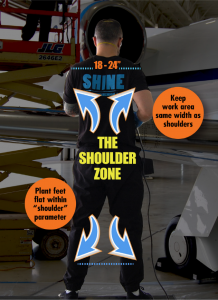 Follow regular routine maintenance program with NuPower II & NuGlaze. Keep work area same width as shoulders, approximately 18″-24″. Plant feet flat on the ground also within the “shoulder” parameter. Never buff below the belt, meaning no bending to meet lower levels.